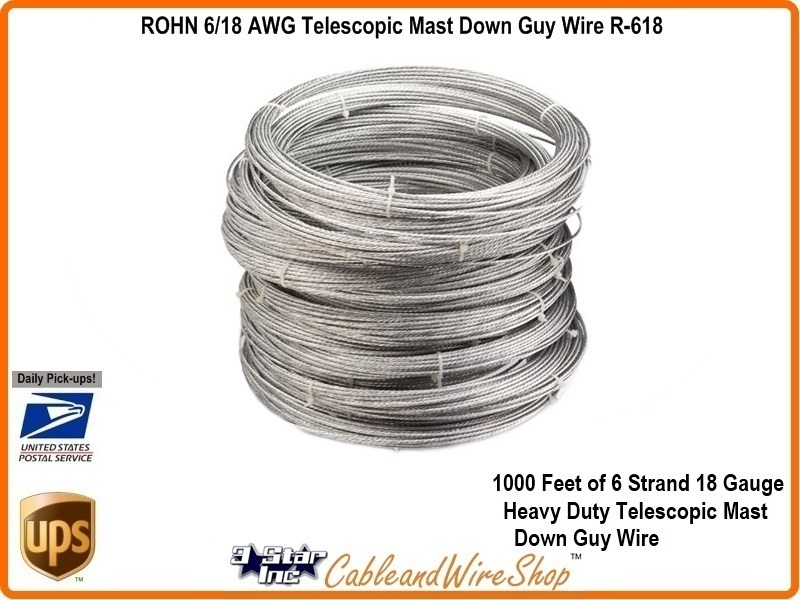 Twenty 50 foot Loops of Heavy Duty Galvanized 6 Strand, 18 Gauge Guy Wire totaling 1000 continuous feet. Perfect for Guying Down All Telescopic and Heavy Duty Antenna Mast Load Applications. Comes as Contiguous Footage totaling 1000 Foot, with 700 lbs Breaking Strength.